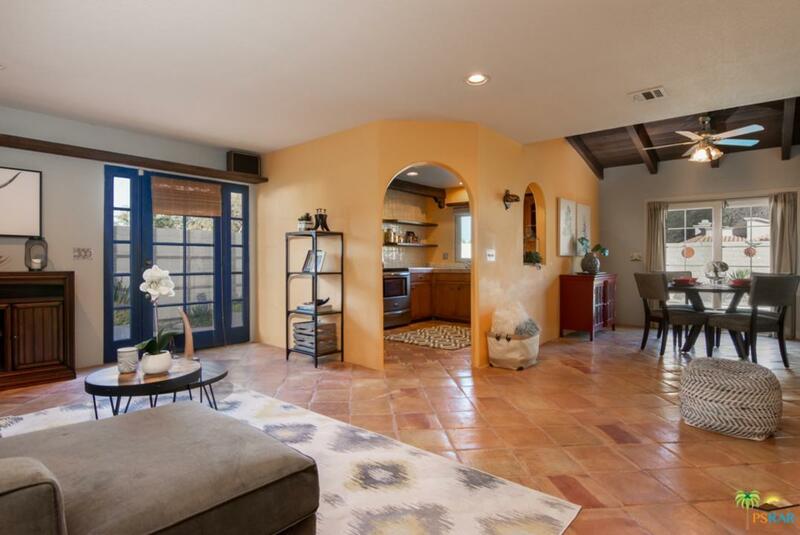 This charming, one-owner 2 BR / 2 BA / 2 car garage Pueblo-style beauty sits on a stately, fully privacy-fenced, corner lot with mountain views and a glistening swimming pool. 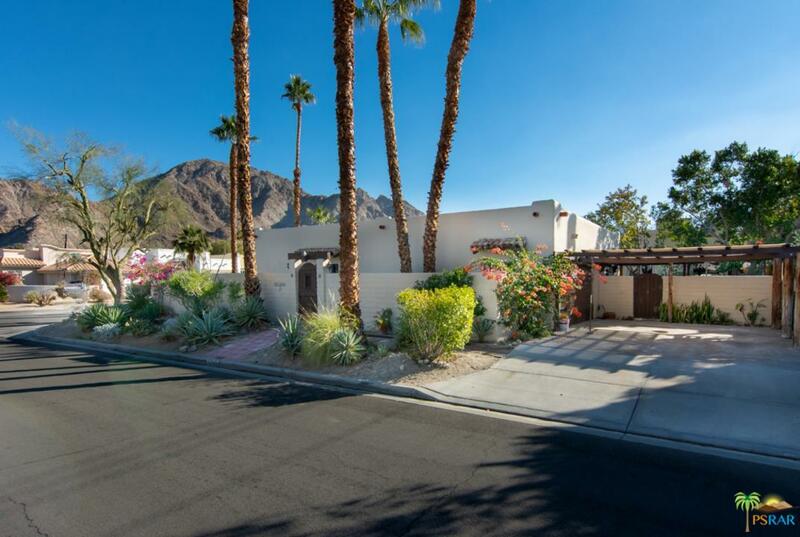 All the appeal of La Quinta desert living, this home celebrates both earthy aesthetics and Spanish style accents. Elegant Saltillo tile cools the entire floor plan, which includes an open-concept living and dining area with fireplace and a chef's dream kitchen that boasts stainless steel appliances, tile counter tops and back splash, and in-style open cabinets. The master suite has a step-in shower, dressing area, fireplace, walk-in closet, and private access to the pool area. The 2nd bedroom has direct access to the 2nd bath and a private outdoor patio. Home has an indoor laundry area, a king-sized yard, and plenty of mature landscaping. Painted in the colors of sunsets and sand, this beauty is one of kind! A wonderful option for owner occupants and vacation rental investors! 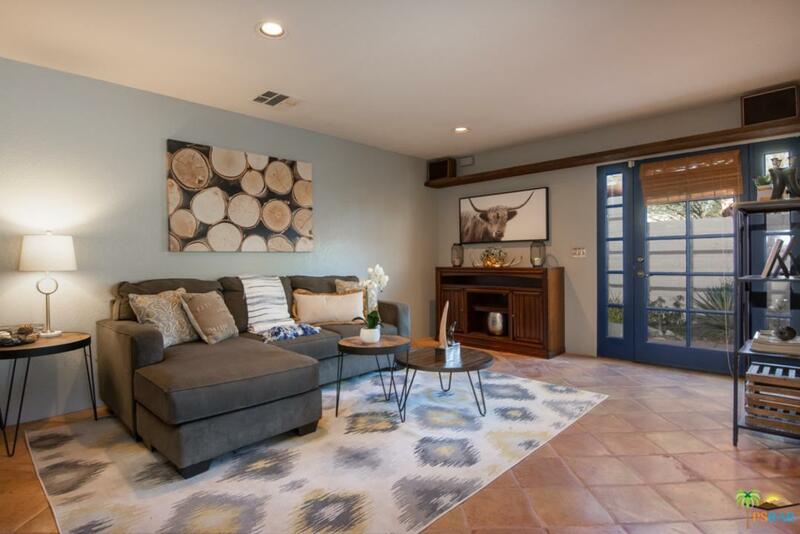 Sold by Nikki Callis BRE#01995374 of Redfin Corporation.